In love with Formula 1: Hungarian GP / Qualifying: Hamilton dominated the qualifying! Hungarian GP / Qualifying: Hamilton dominated the qualifying! Hamilton set blistering pace from the very beginning of the first session. It was obvious that the Mercedes men were in a class of their own but there seemed to be tighter battle behind the Silver Arrows. 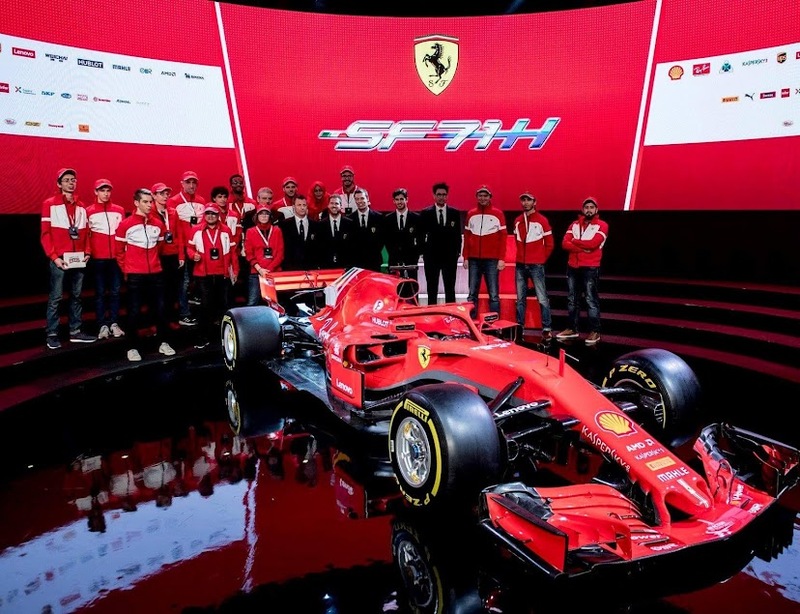 The Red Bulls had been exceptionally competitive in the free practices already and it seemed possible that they might be able to challenge both Ferrari and Williams for a second-row grid slot. The conditions were extremely hot: the temperature was as high as 32 degrees Celsius! (Something that we can only dream of here in Finland as this has been such a cold summer...!) All top teams started to Q1 on the medium compound tyres but as there was a huge difference in terms of lap times between these two compounds it was obvious that everyone had to opt for the soft tyres on their second runs. Actually Red Bull´s Ricciardo was the only driver to get through to Q2, who had set his lap time on the prime tyres. Hamilton and Rosberg topped the time sheets followed by Vettel, Kvyat and Räikkönen. Further back there was brutal disappointment for McLaren´s Button, who suffered an ERS deployment problem when it mattered. His lap on softs was a tenth off Sainz´s, which meant the Toro Rosso driver got through but the Englishman didn´t. Also the Sauber duo of Ericsson and Nasr and the Marussia duo of Merhi and Stevens were out of Q2. McLaren´s joy at getting Alonso into Q2 was unfortunately very premature. When there were about 7 minutes left in the clock, Alonso rolled to a halt close to the pit entry on his out lap and the session was red-flagged. The Spaniard put a lot of effort pushing his car back down the pit lane. Sadly his efforts turned out to be in vain as the rules dictated that he was unable to continue, his car having not returned to the garage under its own steam. The top three remained the same as in the first session: Hamilton, Rosberg and Vettel. In Q2 it still seemed it was going to be a tight battle for pole between the Mercedes team-mates. Both Force India drivers were out of Q3 as well as Sainz in his Toro Rosso and Maldonado in his E23. I was happy about Verstappen, who managed to make it among the top ten this time! In Q3 the Mercedes duo made their first runs on used option tyres whilst their rivals started to the decisive session on fresh sets of soft tyres. But in spite of the tyre wear Hamilton and Rosberg still made it P1 and P2! It showed in a cruel way how dominant Mercedes are at the moment. At the end of the final session the battle for pole didn´t turn out too tight or exciting but Hamilton eased to pole with half-a-second margin over his team-mate! Rosberg must have felt devastated. Hamilton definitely has the upper hand in the championship battle at the moment and things don´t look too good for Nico. Sebastian made it "the best of the rest" by qualifying 3rd, which was an excellent achievement. Ricciardo at the wheel of his RB11 did a fantastic job as well and split the Ferraris, so Kimi qualified 5th today. Kimi was unable to make any runs on the soft tyres in this morning´s last free practice due to a water leak in his SF15-T so I find his qualifying result pretty decent. Bottas qualified 6th, Kvyat 7th, Massa 8th, Verstappen 9th and Grosjean 10th. Kimi has performed well in the Hungarian heat in previous years so I´m expecting another strong race from the Iceman. It´s absolutely great that after the long 3-week break it´s finally Formula 1 weekend again but in addition to racing there have been other things going through my mind as well. Jules Bianchi, the 25-year old Marussia driver, who injured seriously at last year´s Japanese GP, succumbed to his injuries a week ago and was buried last Tuesday. Incidents like this always remind how dangerous motor racing ultimately is and how precious life really is. A fatal accident could happen to anyone on the grid so no one is actually safe. Bianchi was an extremely talented driver, who had a great future awaiting... All the drivers are carrying a special sticker both on their helmet and car in honour of Bianchi this weekend. There has been another F1 related news that has made me worried today. I just read on the news today that the famous Finnish F1 doctor Aki Hintsa has been diagnosed with cancer recently. It´s weird how a piece of news like this touches me so deeply although I don´t even know this person. But according to everything I´ve read in Oskari Saari´s book about him, he´s an extremely heartfelt and likeable person, who has always made huge effort to help others. Now he´ll be facing a hard battle of his own... I´ve witnessed my father battling cancer a couple of years ago and luckily that battle was won by my dad! So I´m hoping all the very best for Aki Hintsa as well!